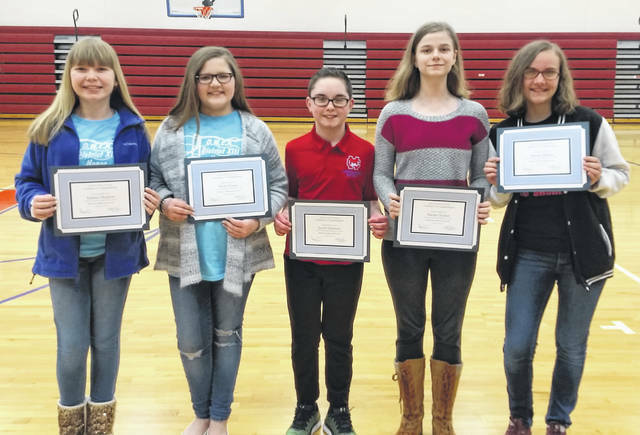 OMEA District 13 Middle School Honor Choir includes, from left, Clinton-Massie students Sydney Hudson, Brylie Green, Jacob Harrison, Naomi Turner and Amerie Riehle. 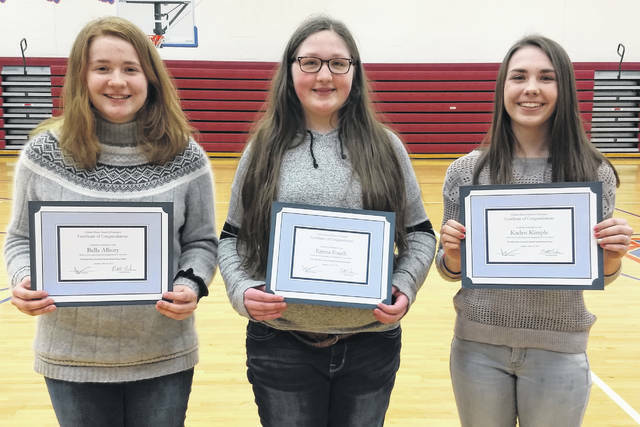 Not shown are Zander Avery, Adyson Johnson, Addie Gibson and Harley King. 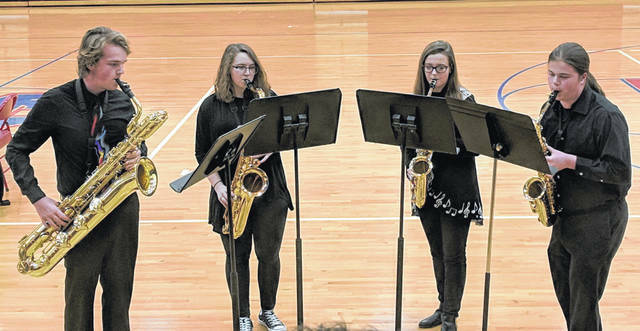 Performances at the recent Clinton-Massie event included the saxophone quartet from the OMEA competition. 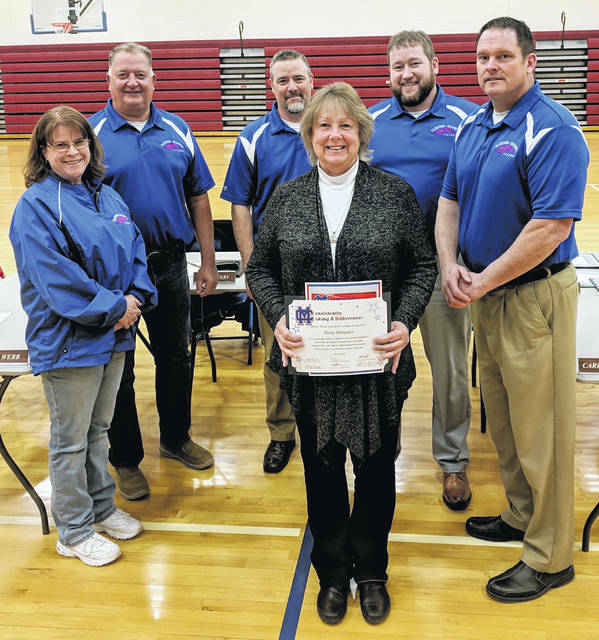 CMAD recognition was given to Vicky Hampton (center) , shown with school board members, from left, Kathleen Norman, David Webb, Mike Goodall, Jeremy Lamb, Andy Avery. Also honored but unable to attend was Andrea Bell. 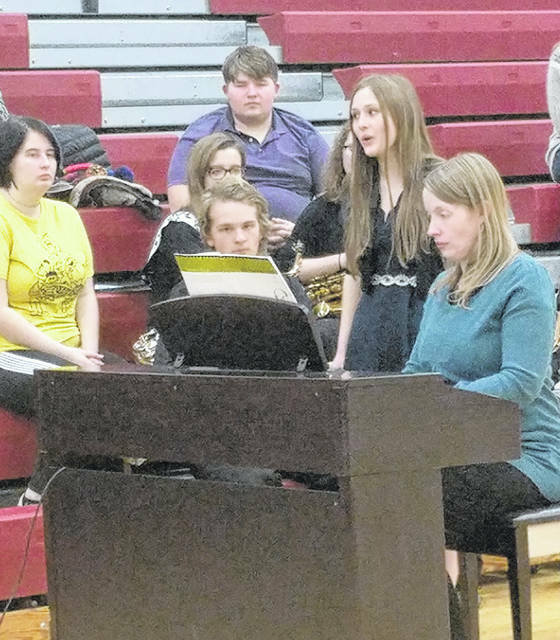 Amelia Binau sang her solo from the OMEA Solo/Ensemble competition. 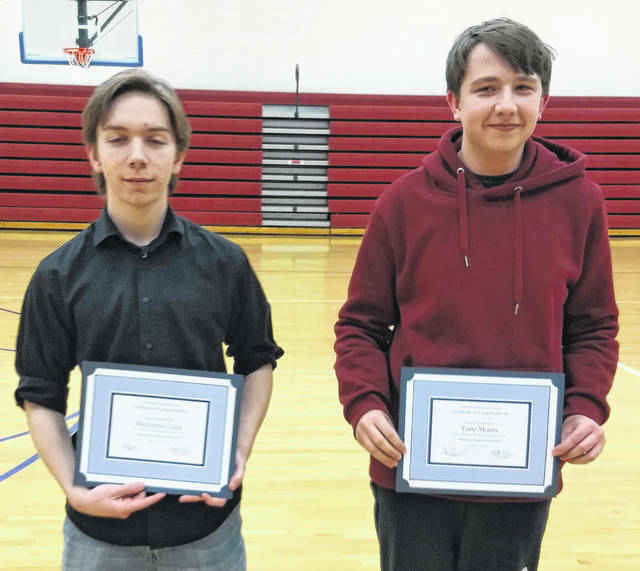 Receiving Xavier University Honor Band recognition and honored by Clinton-Massie Local Schools are, from left, Clinton-Massie students James Riehle, Jordan Powell, Connor Hendrickson, Gunnar Broglin, Nick Brandenstein, Adam Norton and Erika Keller. 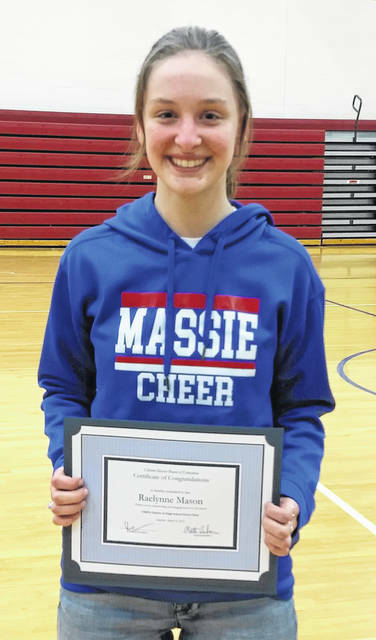 Raelynne Mason was recognized for OMEA District 13 High School Honor Choir and as an Ohio Music Ambassador. Kayle Drake (not present) was also recognized for OMEA District 13 High School Honor Choir. OMEA District 13 High School Honor Band includes, from left, Mackenzie Click and Tony Morris. Not shown is Olivia Swicegood.